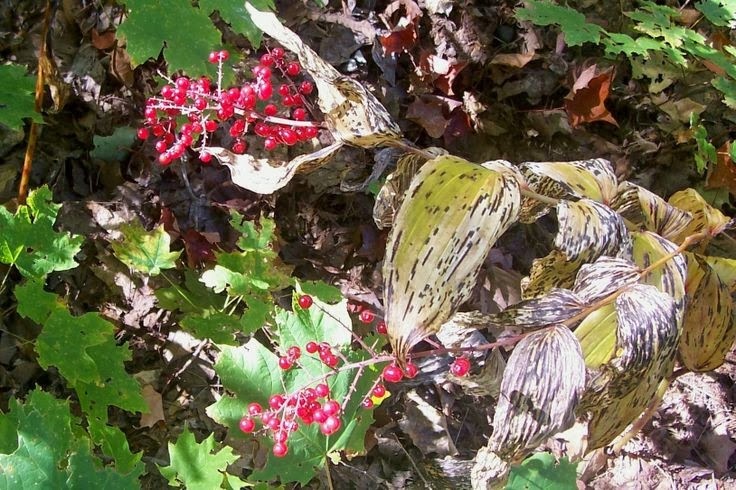 Please check several sources and photos to make sure you have the right plant. If in doubt, just leave it alone. 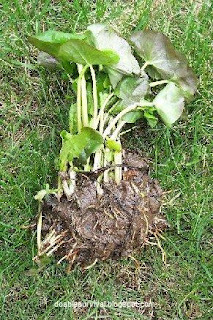 The root and leaves are edible raw and said to be best in early spring. When I break open a leaf, it smells like licorice. That's how I originally found out what it was. I tried looking up something like "wild licorice" and eventually found out it was Aniseroot. but it is actually good, very mild flavor. I finally know the name of this one. I find them in the woods in different places. The young leaves, when up to a few inches tall, are edible and can be chopped in salads or boiled and then topped with butter and seasoned. 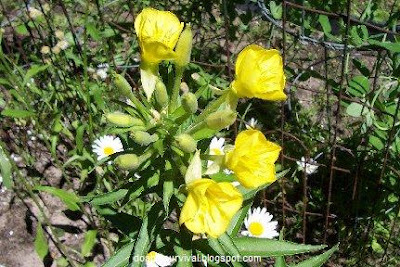 They are said to have a cucumber-like taste. I didn't care for them myself. They have beautiful blue berries (hence the name Bluebead) after the flower is gone but, alas, the berries are not edible. can see what they look like. Not edible. Very pretty though. Chickweed in my veggie garden. 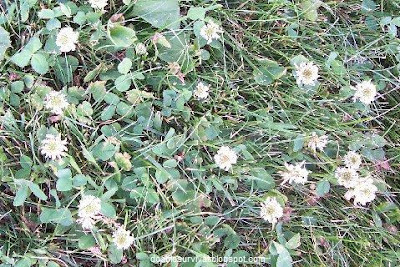 Young greens and flowers of Red and White Clover are edible raw or cooked. They can be added to soups and salads. 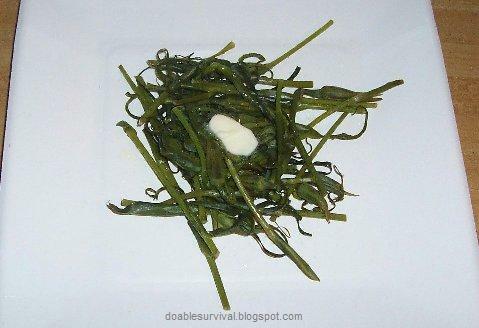 It's more of a survival food than anything. 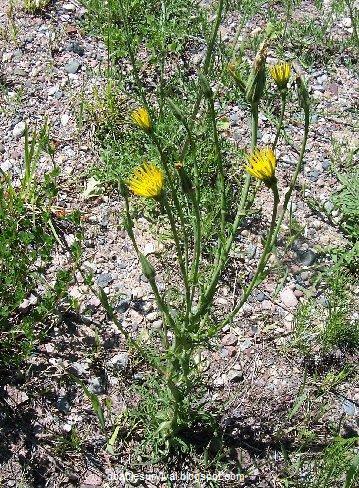 The flowers can be battered like you would Dandelion flowers. 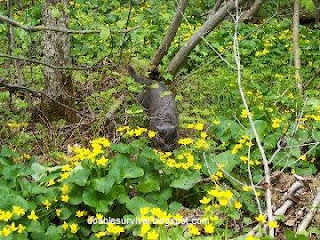 The greens are best before they flower. 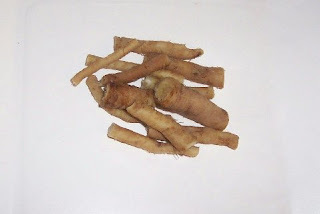 The root can be cooked and eaten. The flowers can be used in tea, and dried flowers can be ground into flour. 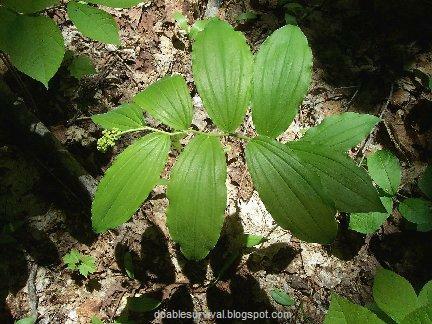 Dried leaves are said to have a mild vanilla taste when used in baking. Update: I also found Yellow Hop Clover in my veggie garden. 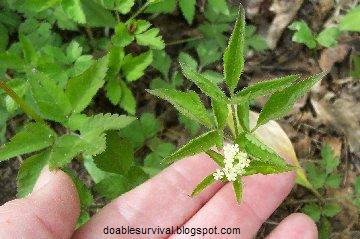 The leaves, flowers, and seeds are all edible. 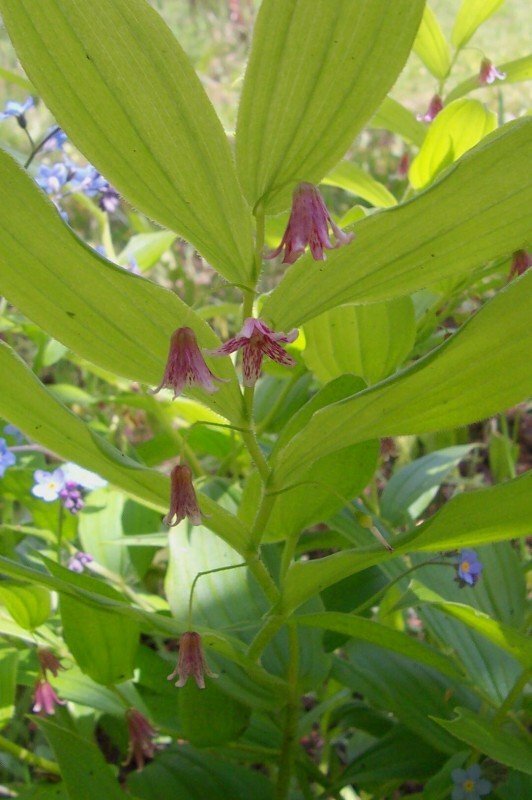 The flowers can be used to make tea. 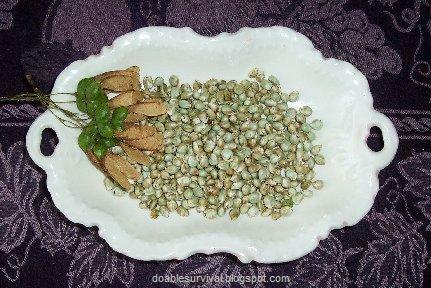 The seeds can be eaten raw or toasted or even made into a flour. 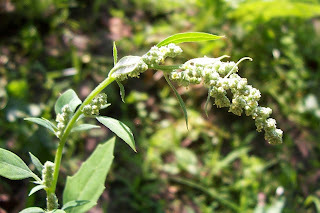 Dock - Curly/Yellow, Broadleaf, etc. I thought the leaves were ok, and the seed pods were a bit fibrous so I just chewed on them and spit out the rest. Besides adding the flowers to salads now and then, I'd reserve this one as a "survival food". I didn't try the root yet. 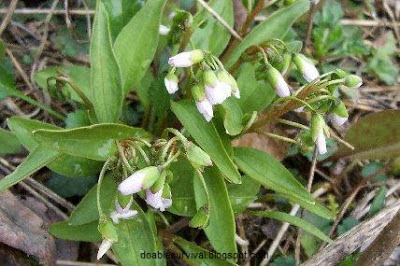 The young shoots (before the leaves open) are edible in spring, but they can be easily mistaken for other poisonous plants; so be sure to identify them previously and mark them before you eat them! I dug a few (there were tons of them!) 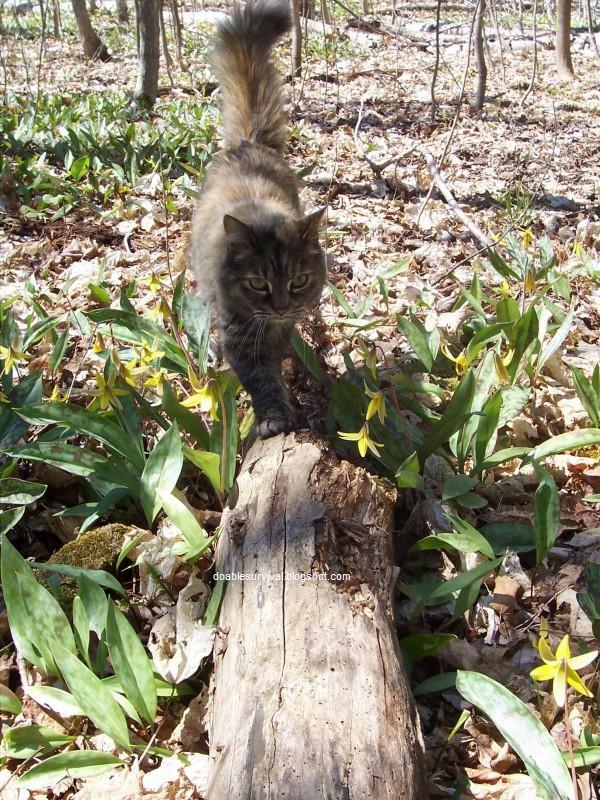 and planted them in my woods here and will try them next spring. Take the leaves off as they are said to be bitter. Caution - I have a very well-known and respected book on foraging, and it says the False Solomon Seal root is edible; but since I took photos of it and dug a few roots, I have found sites saying it is poisonous. ...so I'm not sure on this one. I'd stay away from it just to be safe. I wanted to mention this because, in some of my posts (like on the top of this one), I say to make sure to check several sources and photos; and this is a great example of that. If you only check one source and it happens to be wrong, that could be trouble. I'm confident to try something when I read information from several sources that say the same thing; but there is conflicting info out on this one, the root that is. 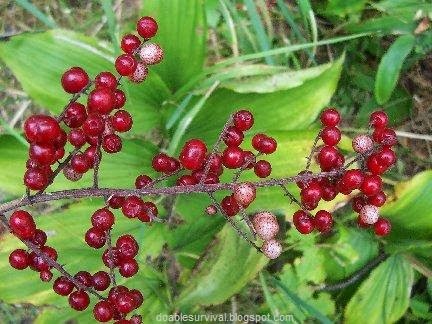 The berries are edible. I just tried them for the first time, and I like them very much. Very sweet. Some taste that seems familiar that I can't place. I've seen notes about how they can start off tasting sweet but then have a bitter aftertaste, but I didn't get that. I thought they were very good. They turn red as they ripen and the leaves wither. 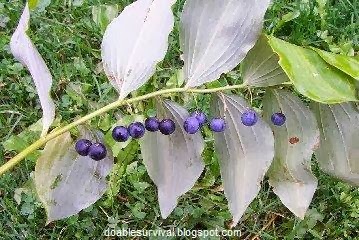 False Solomon Seal berries, not edible. 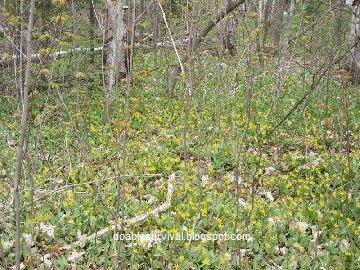 We have the Yellow Goatsbeard in this area. There are purple ones also, but I haven't seen any of those. 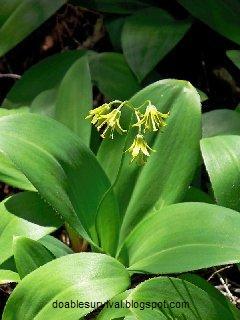 They are also known as Oyster Plant, among other things, because some people think the root has a mild oyster flavor. 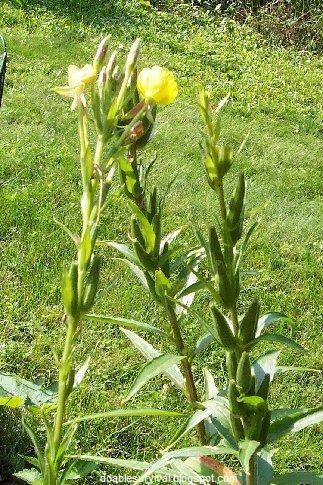 It's even known as Jack-go-to-bed-at-noon because the flowers close up in the middle of the day unless it is cloudy and they don't open at all. 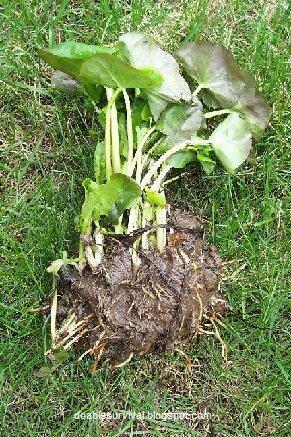 Roots can be eaten raw or cooked, including baked and boiled, best taken from a first-year plant that doesn't have a stalk yet. 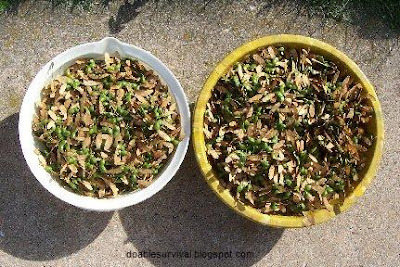 They can be dried and powdered or dug in the fall and stored in winter in a root cellar. 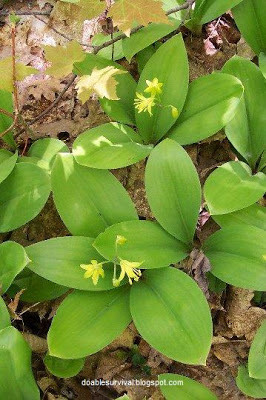 The best time to gather them is early spring or in the fall. 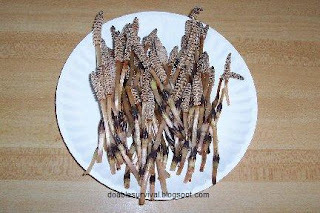 I cooked the roots, and they tasted ok.
Young shoots and leaves can be eaten raw or cooked like you would asparagus or the young unopened flower buds and the stem they are on. I tried the young unopened flowers and stems raw and cooked and like them both ways. 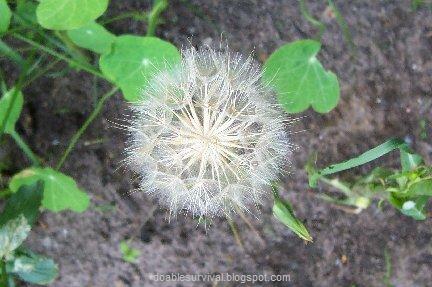 In the fall, the flower turns into a ball of seeds like a Dandelion but much bigger. 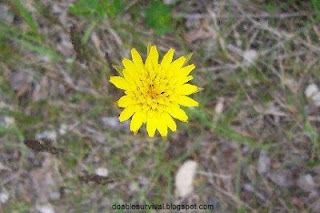 You've probably seen them along the road or in dry flower arrangements. This is what they look like when they mature. The ones in the right upper corner still have the brown head. 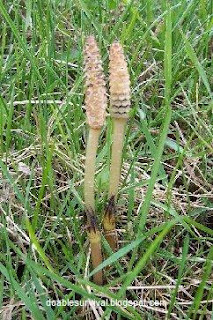 Horsetail is ancient. 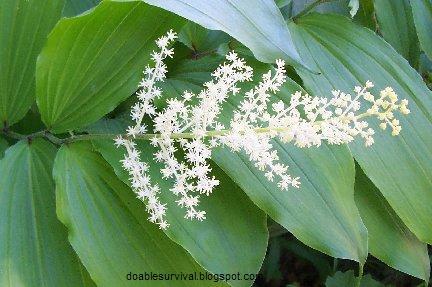 It has been found in fossils and was used by Native Americans for many things. As far as survival goes, it's not one of the best finds, specially if you have limited access to water as it can have a mild diuretic effect; but I still wanted to mention them since it they are edible and have many health benefits if prepared properly. I liked finding these when I was a kid, at least when they first came up. I always thought of them as "rattlesnake tails." 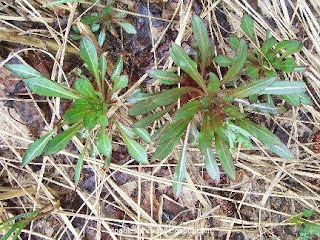 Anyway, they drive me nuts now because they come up in the garden and, although they look cute at first, they turn into these bushy green weeds later and come up all over the place and are hard to get rid of. but they have a strong bitter or weed-like taste I don't like. 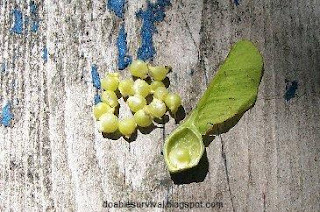 The young shoots are edible and the inner pulp of more mature plants when the tough outer sheath is taken off. 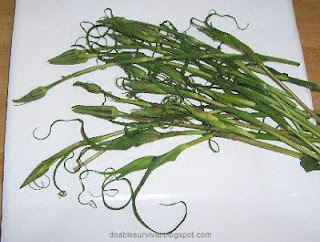 The young shoots kind of resemble asparagus a little. 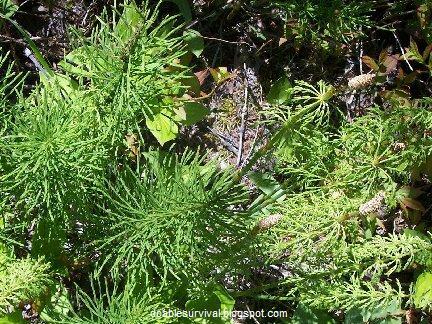 Horsetail has an enzyme that depletes Vitamin B1 levels when eaten raw, so you want to cook it first or eat it in small quantities or take a Vitamin B supplement. It can be toxic to livestock in large amounts. 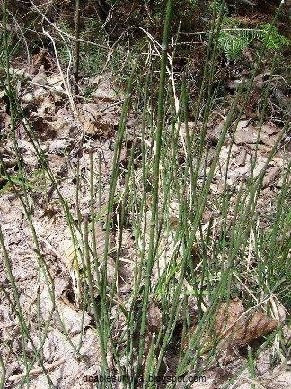 Horsetail has many health benefits and is believed to be great for healthy bones, joints, connective tissues, and hair. It works well to stop bleeding. You can find it in health food stores. 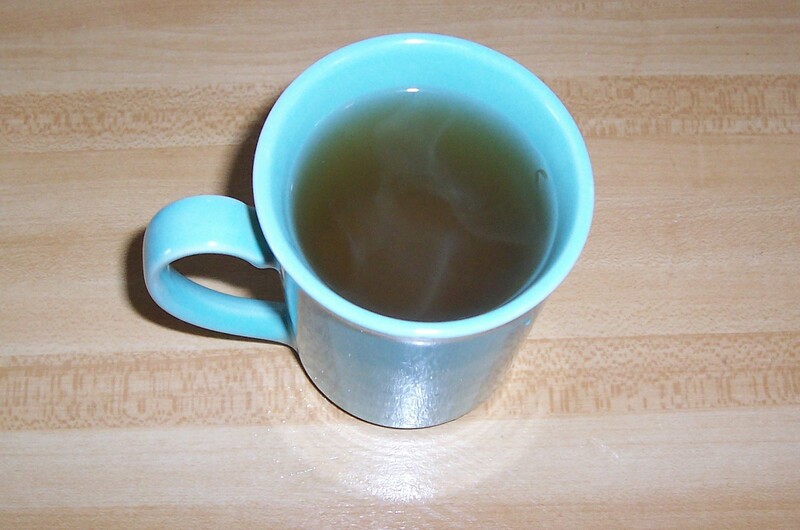 A tea is made by steeping it in hot water or simmering for 15 minutes. It can be dried and ground. You can make Horsetail vinegar by letting it sit in apple cider vinegar for 4-6 weeks and then strain. "Horsetail has been used for centuries. Galen (Roman physician and philosopher approx. AD 129-199), used horsetail to aid arthritis, kidney and bladder problems as well as other ailments. This multi-purpose plant has numerous healing properties that include being an anti-hemorrhagic, antiseptic, antibiotic, an astringent, cardiac as well as a diuretic. Makes an excellent healing tea and cooked horsetail can be added to soups, stews or cooked in a stir-fry." For source article.. (click here). they can be popped apart. 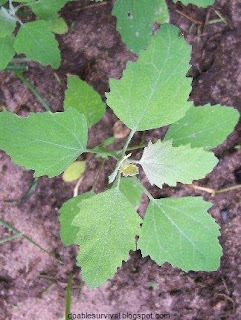 Lambs Quarters are quite common. They come up all through my veggie garden. 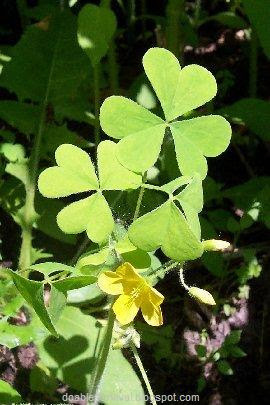 It is actually cultivated in some parts of the world as a green, and we just pull it up and through it away. 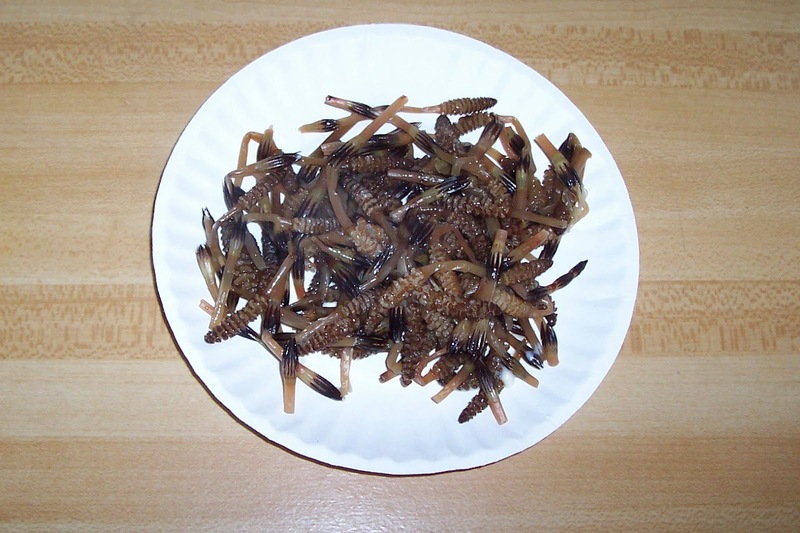 This can be eaten raw or steamed. Nice in a salad. They actually don't have a lot of flavor raw, but steamed, wow! They taste great! I can't believe I've been tossing them as a weed all these years. Quite stupid if you think about it. lol We pay for all these veggies in the stores and pull out perfectly good food and waste it. Lambs Quarters are also very nutritious with loads of calcium, iron, vitamin C, Vitamin A, phosphorous, protein, etc. They are said to be more healthy than Spinach! They have a tell-tale powdery white look to some of the leaves. 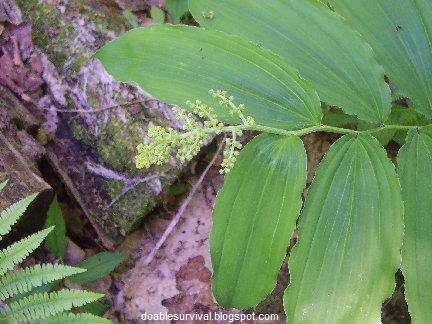 As always, make sure you check several sources and photos on how to identify plants so you don't eat the wrong thing. I actually started a weed garden. and putting it in my "weed garden". Here is one blooming. 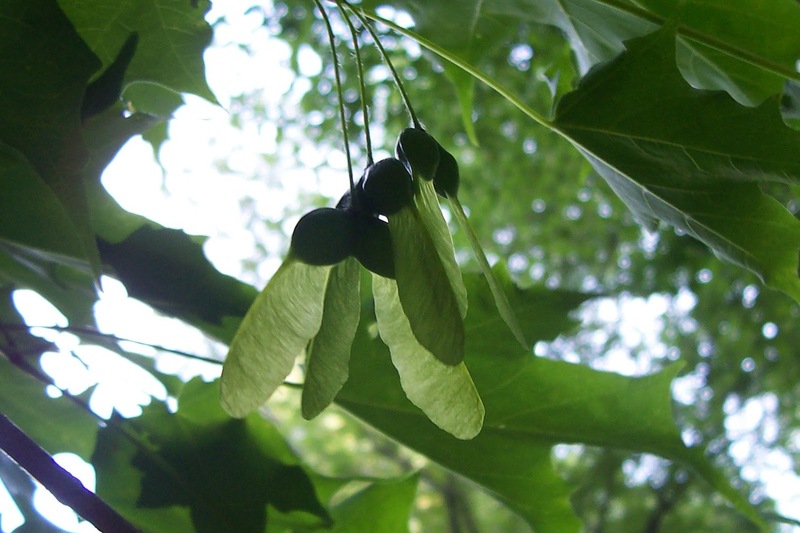 Maple seeds can be eaten raw, dried, or cooked. You can also roast them in the oven at 350 degrees for about 8-10 minutes. You can also add them to salads. Dried ones can be powdered to add flavor to food or thicken sauces or soups. 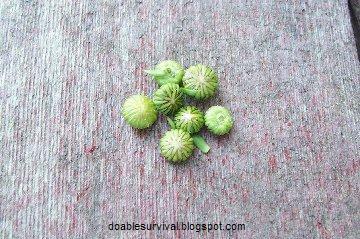 Just open up the plump end (opposite the wing-like things) and pull out the seeds. 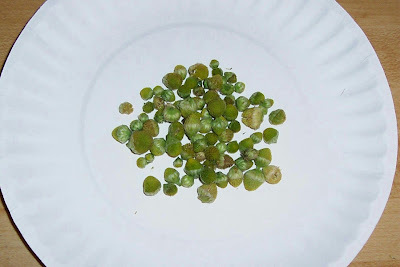 They are best eaten when green but can also be eaten when they turn brown but will have more of a bitter taste. 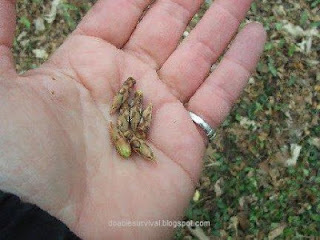 Some maple seeds are more bitter than others. If they are bitter, you can leach out the tannins. Some say to boil out the tannins; but when I made acorn flour, (oak trees) I found it's actually better (and uses less energy) to do warm water baths. Soak for an hour or so and then pour off the water and repeat if necessary. This worked great when I made the acorn flour, and took the bitterness right out. I haven't tried this with maple seeds, but I don't know why it wouldn't work the same. Something to keep in mind to try anyway. Besides making Maple syrup, you can also eat the inner bark (raw, boiled or roasted) and young leaves (raw or cooked) as they emerge. Birch buds I tried. Those were nasty! 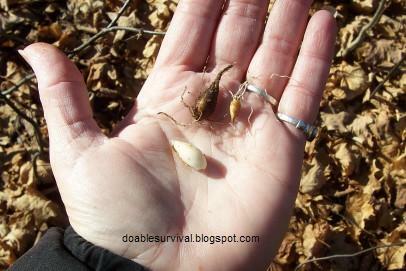 One side has the seed, and one is empty. 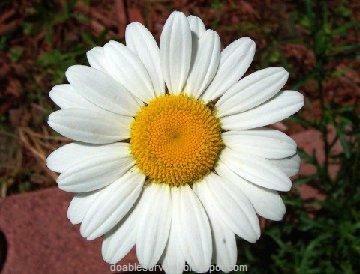 There are the common daises you find around roadsides and in fields. 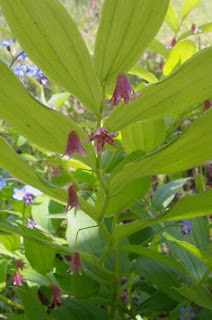 The flowers are edible, but I think the buds and just opening flowers are supposed to be best. I will try these this summer. I tried the flower buds, and they were good. 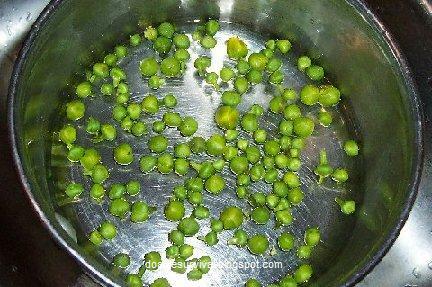 You can put the young flower buds in vinegar and make capers from them. Also, young shoots and leaves are edible and are great in salads. They taste a little peppery. I tried them in a salad, and they were good. 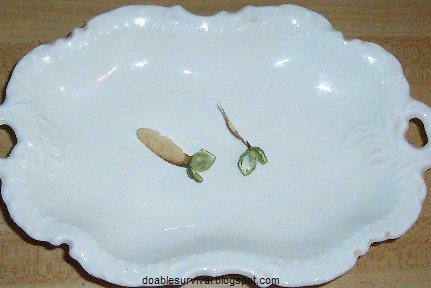 Actually, some gourmet restaurants are said to use them in "gourmet salads". 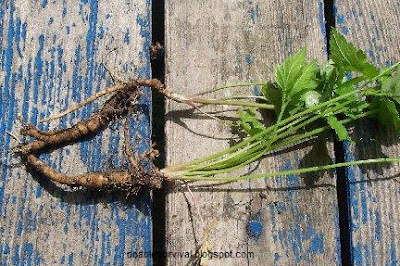 The root can also be eaten raw in spring. Young greens in early spring. 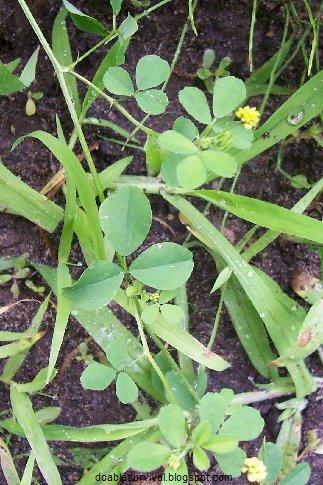 Young flowers are edible raw and put in salads. They can be used to make tea. I like the taste of the flowers. You can also dry them for later use. They smell like pineapple when crushed. 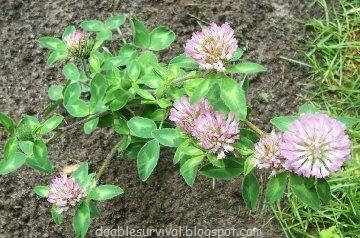 It tends to grow in poor soil in disturbed areas like driveways, my driveway. lol Apparently, you can rub the flowers and leaves on your skin to repel insects. 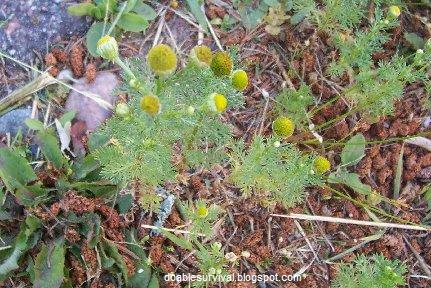 Note, young Mayweed Chamomile looks similar but gets much bigger and doesn't have the pineapple smell when crushed the way the Pineapple Weed does; so don't get them confused. It's almost July here, and these are just getting going. I'll take more photos later in the summer. They get small yellow flowers. This is one I transplanted to me "weed garden". 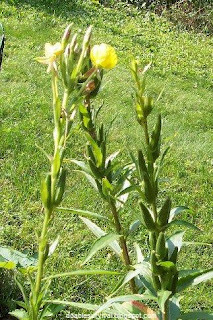 The whole plant is edible raw or cooked. 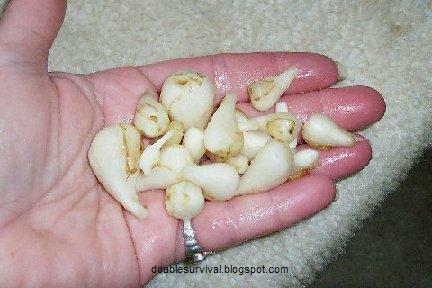 It's even said that it can be used like you would an Aloe Vera plant by rubbing it on burns and bruises. 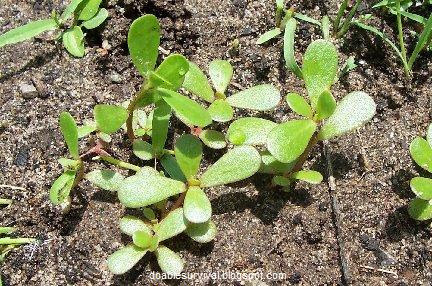 Purslane has healthy vitamins and 5 times the Omega-3 fatty acid of spinach and easier to catch than fish! ;) It can be steamed, stir-fried, throw in salads, etc. etc. You can do a search on line and find recipes. 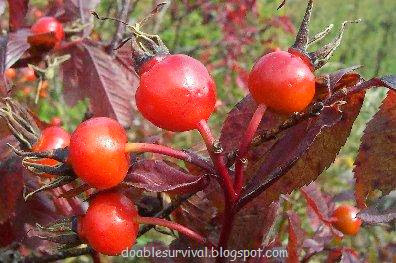 Rose hips are the fruit that develop after the blooms are done. 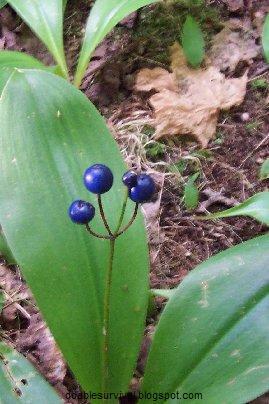 They grow and ripen and are said to be best if picked after the first frost. They should be a bright red and/or orange color. All rose hips are edible, but many people prefer the Rosa Rugosa hips (or Japanese Rose), saying they taste best. 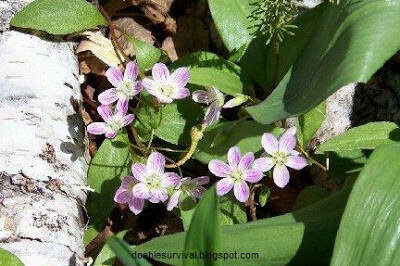 I call these "wild roses" as I see them growing along roads all the time and have them growing wild in one of my gardens. 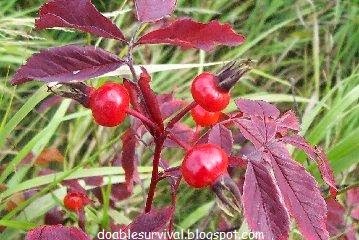 They are very high in vitamin C. Rose hips can be eaten raw (a good survival food to know about) but you need to remove the seeds and fibers from inside as they can cause irritation. I did this to a very large bowl full of them, and the fibers reminded me of fiberglass. It made my skin a little itchy when I touched my neck, so I was careful not to touch other areas of my skin while taking the seeds out. 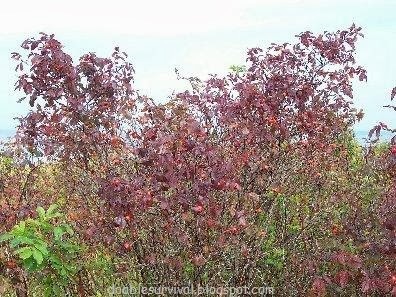 When cooking with rose hips, avoid using metal that is not stainless steel as it will destroy the vitamin C and can discolor the rose hips. 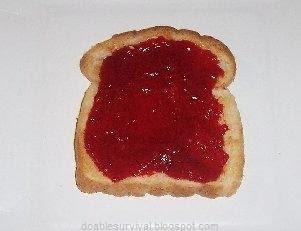 They can be used in tea, jelly/jam, bread, soup, candy, pudding, pickles, etc., etc. I'm very busy right now, so I froze most of mine for now. This winter, I'll try making some other things with them. I plan to dry some also. These are growing along Lake Superior (in the background). 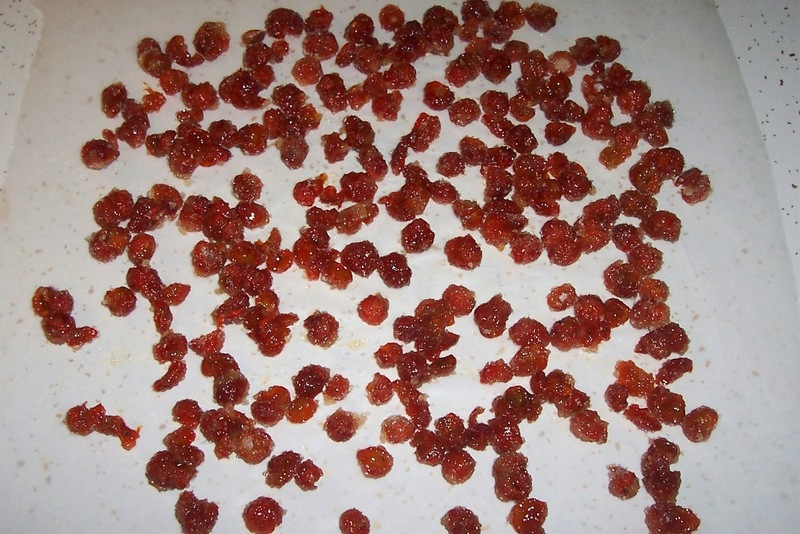 Steep 2 teaspoons of dried rose hips (or 1-2 tablespoons fresh) for 10-15 minutes. Boil these ingredients quickly. 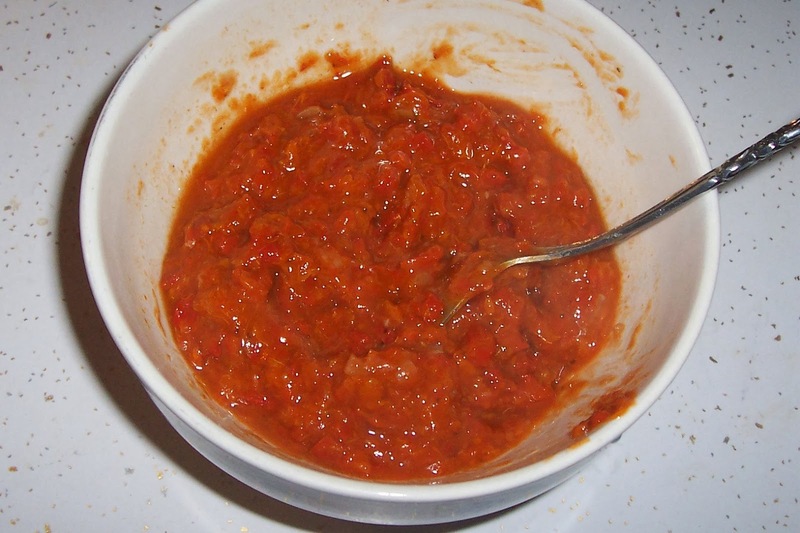 Add 1 cup vinegar, cayenne, salt, if desired. 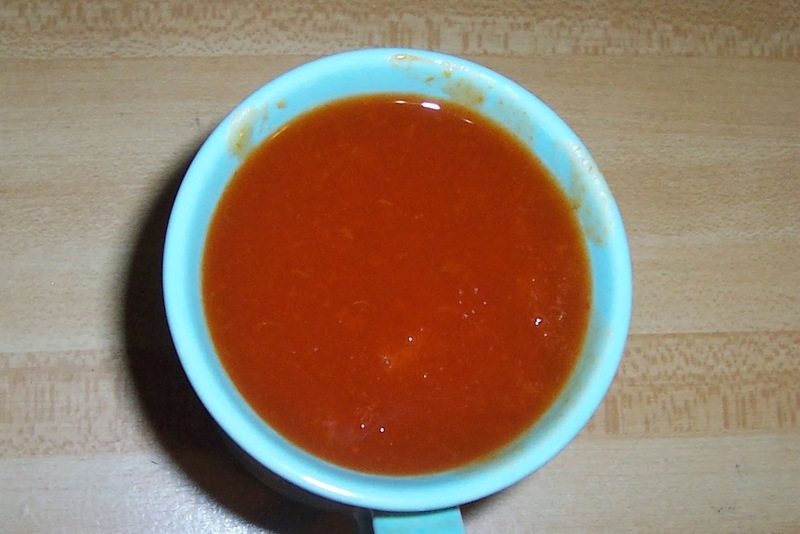 Boil catsup 10 minutes longer. Bottle it at once. Seal the bottles with wax. The flavor of this catsup is excellent. even better with some cinnamon. 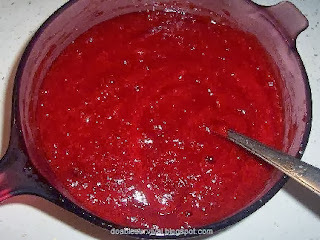 Rose Hip Relish - Noooo! Save yourself! Nasty. it a bit to make it more of a relish consistency, but it tasted nasty. Looks like refried beans and tomato paste. being edible if you get lost. 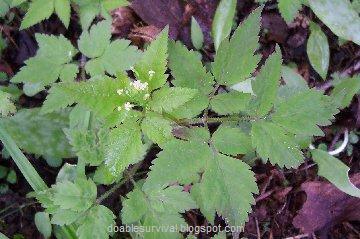 The flower, leaf, and stem can be eaten raw or cooked; but they are hot, so try a small piece. 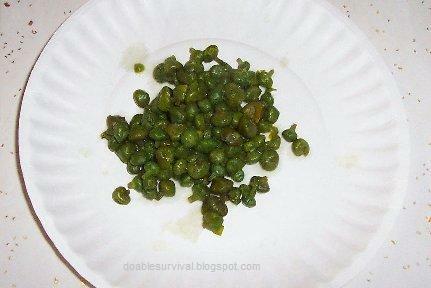 You can dry it and sprinkle it on food in place of pepper. 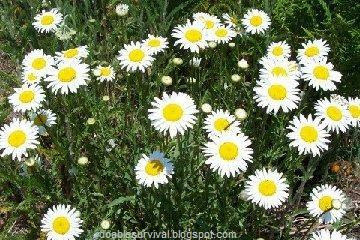 The flowers are white or pink or a combination of the two. They like to grow in areas where they get a lot of water. 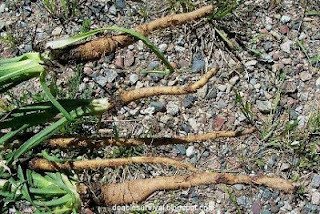 This was taken along Lake Superior, but they also grow in my veggie garden. All of the plant is edible raw or cooked but the roots/corms are usually preferred cooked. 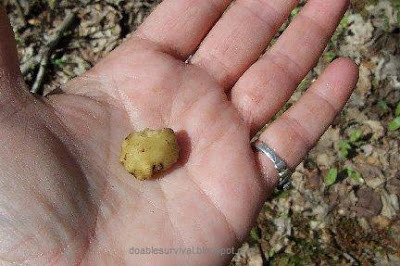 You can boil them and eat them like potatoes. I tried one raw, and it was ok. The word bland came to mind, but they are supposed to be better cooked. Flowers just about to open.. 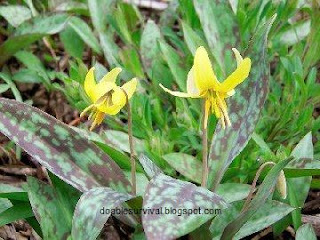 This is known by a lot of names, Dogtooth Violet, Adder's Tongue, Serpent's Tongue, Yellow fawn-lily, Yellow Snowdrop, etc. You can easily identify them by their spotted leaves and yellow flowers. 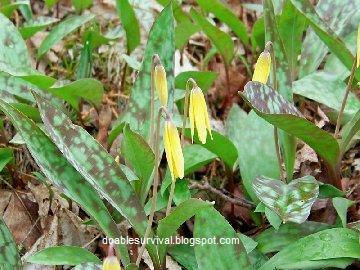 The bulbs, leaves, and flowers of the Trout Lily are edible, raw or cooked. 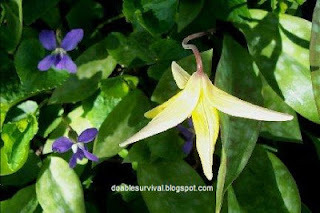 Note: It is said that Trout Lily can act as an emetic in some people (cause vomiting). I've never had a problem or known anyone to. I would treat them like any new food that you could possibly be allergic to. Just try a little first. 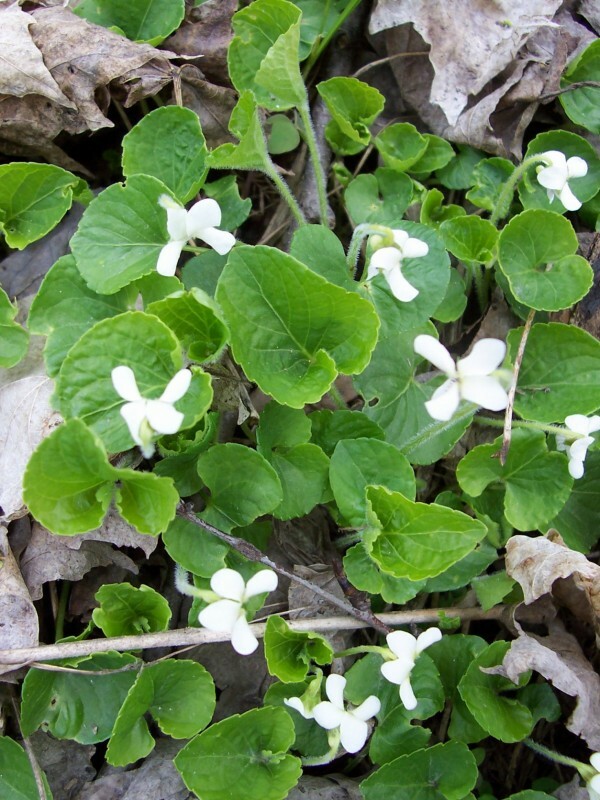 These are all over my yard and woods in the spring. 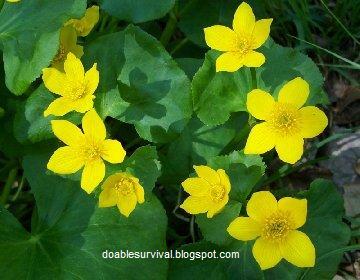 I'm glad the leaves disappear after they are done blooming or they would be a nuisance in the gardens and lawn. 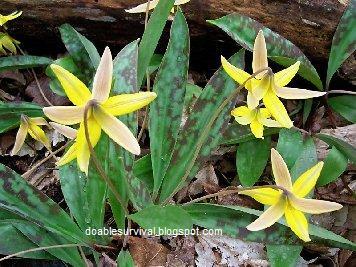 Trout Lilies covering the forest floor. this size. I scraped the covering off the larger one to show you. I like to put the flowers in salads sometimes along with Violet flowers that bloom at the same time. You can eat the leaves raw or cooked. 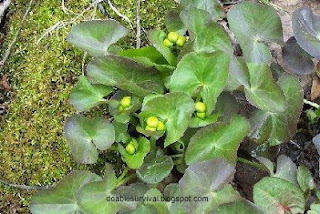 The leaves are best raw when they are small and first coming up. 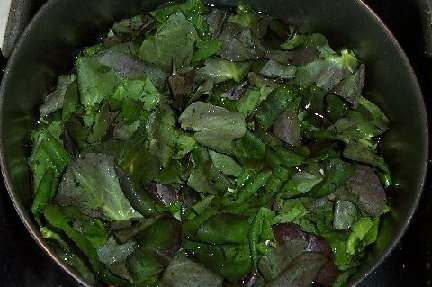 I tried steaming the larger leaves once, but they didn't taste very good. Still, if you were in a survival situation, they would be a God-send. I don't dig the bulbs very often because they can be pretty deep (considering their small size) so you want to find the biggest looking plants. 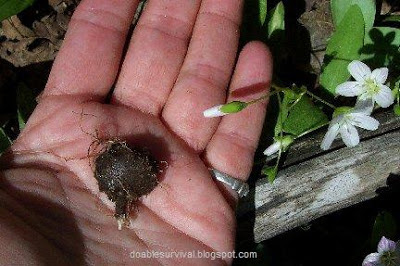 You might not want to expend the energy trying to dig up the bulbs in a survival situation. Well, really, some are close to the surface when I'm digging in the garden; but they are tiny ones. 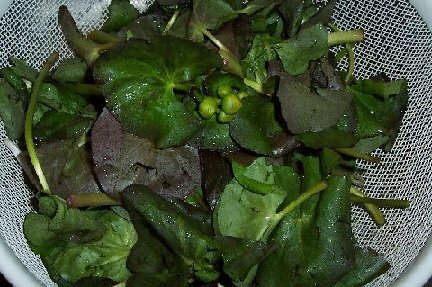 They remind me of watercress the way they have a nice crunch to them. I like to add some to a salad sometimes along with some of the flowers. Violets and a Trout Lily. 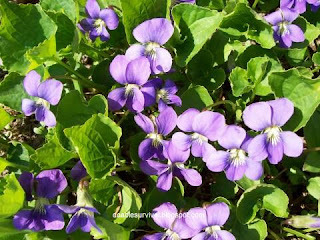 As I mentioned, Violet flowers are edible, all of the viola family. 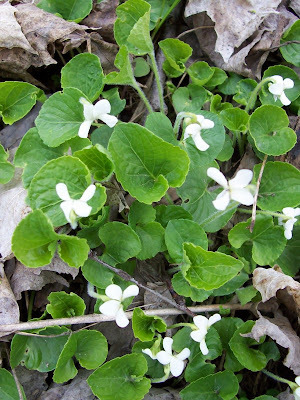 (Note, African violets are not considered viola and are not edible.) 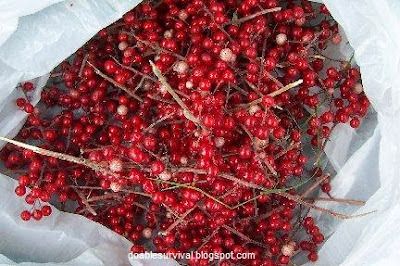 They can be put in a salad or used to make jelly, tea, syrup, vinegar. They make pretty purple vinegar (so do chive flowers). 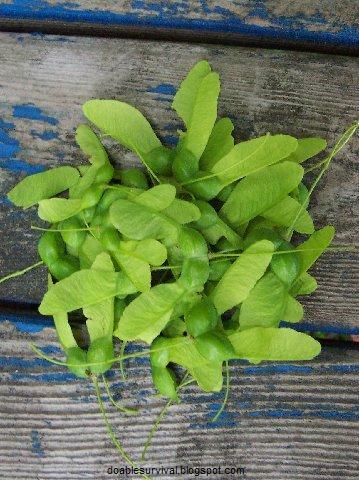 I sometimes pick these and the tiny purple, pink, and white ones to put in salads. 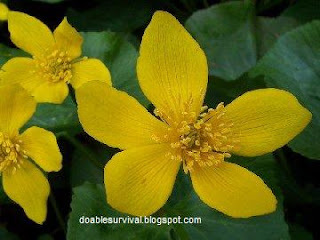 All parts of the Marsh Marigold are edible, including the root, but should be boiled in 2-3 changes of water first. 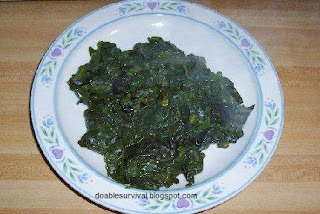 The leaves can be used in recipes the way you would spinach. The closed buds can be used like capers after properly prepared. 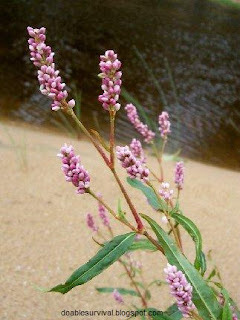 They are found in wet lands, marshy areas. roots. I planted this one back closer to my house. 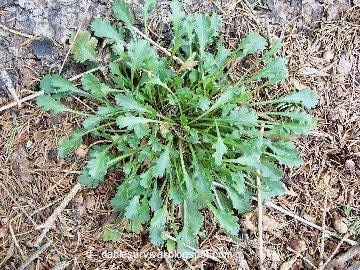 Looks like Spinach doesn't it? I see this mentioned a lot as a favorite "trail nibble". I don't care for it, but a lot of people do; so try it and see for yourself. To be fair, I've only tried the Yellow one as I haven't seen the others around here. 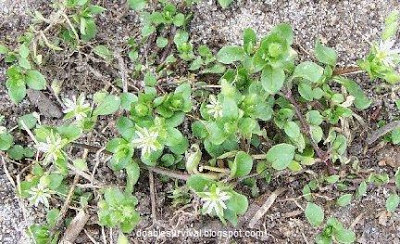 It can be used as a seasoning or to make tea. It can be added to salads raw and used to compliment fish, etc. Wood Sorrel has oxalic acid, as do some of the other plants we eat, and shouldn't be eaten in excess; and people with gout, rheumatoid arthritis, and kidney disease should avoid it. 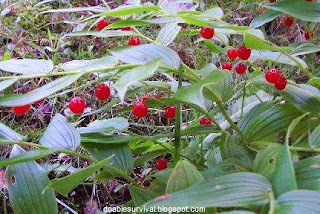 See also Edible Wild Berries, Edible Mushrooms, Edible Landscaping, etc. They are in the strainer in the sink. ;) Have to write them up too, and I work until 8:30 tonight so probably won't get that part done until late tonight or tomorrow evening.